Christmas comes for two weeks every summer for 12-year-old Makenna Ito and her sister Lianne, 7. That’s when the girls, both born with a rare disorder called Cockayne syndrome, attend a special camp that brightens their lives. Whether they find a fit in a program dedicated to campers with disabilities or a traditional camp that provides accommodations to include all campers, kids with disabilities reap tremendous benefits from a summer-camp experience. 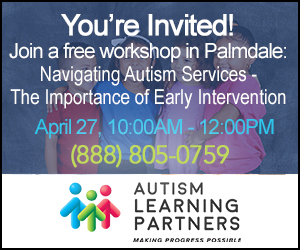 And Southern California offers a wide range of programs from which to choose. The Ito sisters attend Camp Escapades, an innovative summer day camp for children ages 5 to 14 with developmental delays. 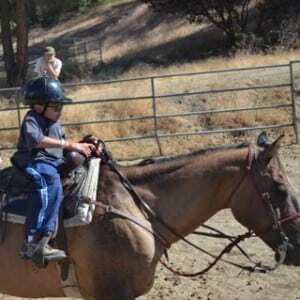 The camp, run by Pediatric Therapy Network in Torrance, takes place on the Rolling Hills Country Day School campus and hosts about 200 campers each year. The camp team includes paraprofessional educators, occupational, physical and speech therapists and teen volunteers who pair up as “buddies” with each camper. Campers change activities – from dancing and sports for gross motor skills to arts and crafts for fine motor skills – every 30 minutes. “Activities are modified so every child can participate and play successfully,” says Merry Lee, camp occupational therapist and one of three camp directors. The Ito sisters, who participate in sessions at Pediatric Therapy Network year-round, enjoy the chance to be social and independent at camp. “Most of all, they like the volunteers and buddies they are set up with,” says Ito, adding that, like many tweens, Makenna prefers boy buddies. But the girls aren’t the only ones happy about camp. “It gives me a longer break in summer. And I have peace of mind knowing that they’re having a good time,” says Ito. 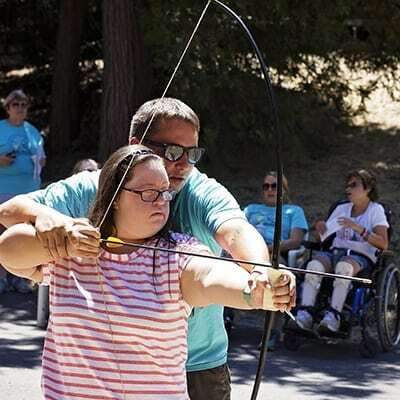 Camp Escapades also allows siblings of kids with disabilities to attend. 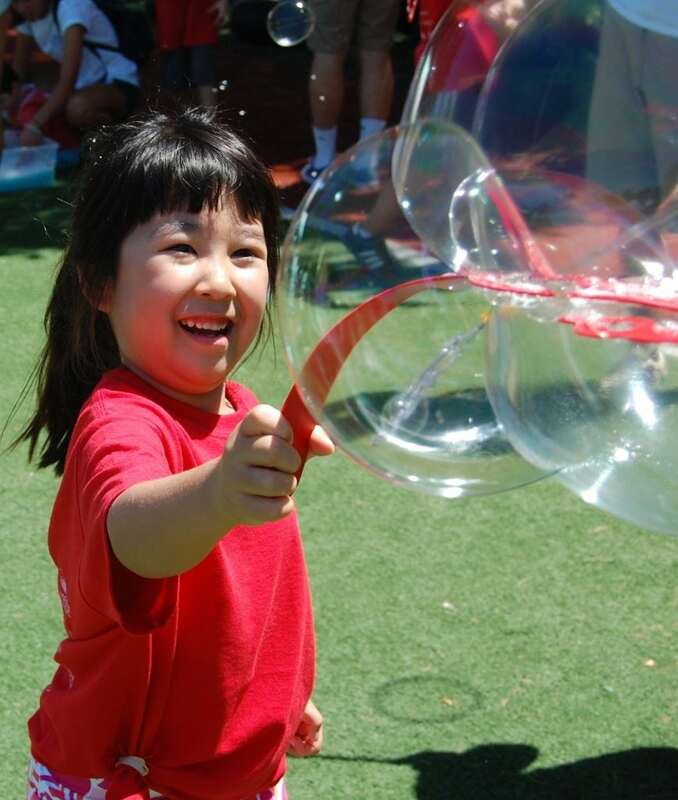 “It helps the sibling to understand the brother or sister,” says Lee, adding that Rolling Hills Country Day School’s regular day camp sometimes interacts with the onsite Camp Escapades. Ito’s 9-year-old son, Nolan, attends the regular day camp, and Ito says he enjoys these opportunities to interact with his sisters. If you’re looking for an inclusive traditional camp program, take time to find out how fully your child will be included in camp activities. You’ll often get your first clue via the camp application forms. “Applications that ask open-ended questions about your child’s sleep habits, creature comforts and experience away from home give a whole picture of your child, compared to an application that just asks for personal contact and demographic information,” says Melissa Dellens, camp director and family support coordinator at Jay Nolan Community Services in Mission Hills, which offers training and consultation to camps that want to include children with disabilities. A more extensive application suggests camp organizers want enough information about your child to be able to make all accommodations she or he might need. After researching various camps, Carrie Harr decided an inclusive Girl Scout camp was the best fit for her 8-year-old daughter, Emma, a Girl Scout Brownie who has Type 1 diabetes and celiac disease and uses an insulin pump. “We’ve tried not to make her feel different in any way,” says Harr, adding that Emma wants to attend camp with her sister and friends, and Girl Scout camp provides that opportunity. Two years ago, Emma attended a two-week Girl Scout day camp. Last year she participated in a summer-long program with her sister at the scouts’ Camp Mariposa in Altadena. 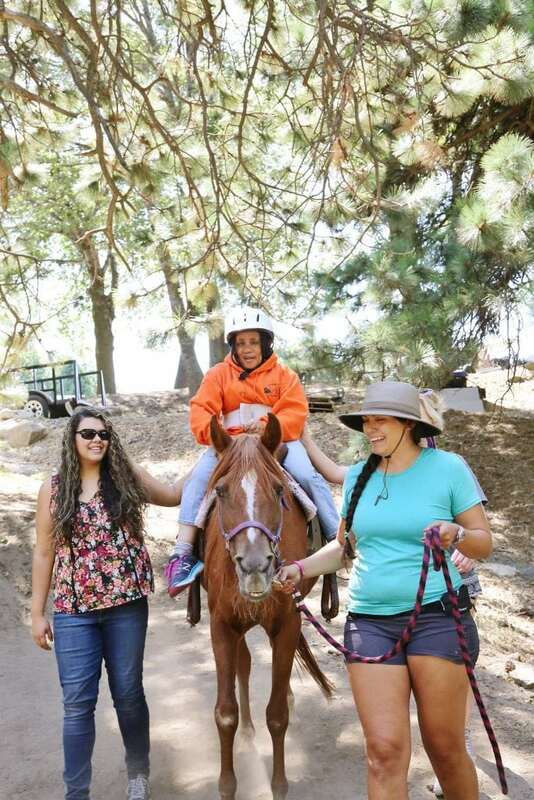 This summer, Emma plans to attend Camp Osito Rancho resident camp in Big Bear, where the girls sleep in tents and enjoy nightly campfires, horseback riding, canoeing, outdoor cooking, swimming and archery. Harr is confident Emma will be fine away from home. She feels comfortable with Girl Scouts programs and likes their pricing and range of options. “I feel like it’s the best-kept secret,” she says. The Girl Scouts El Ranchito Day Camp in Long Beach, which has accessibility throughout the property, is a popular option for families not ready for the sleep-away experience. 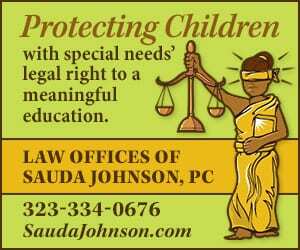 “Many parents’ comfort level is day camps. They’re comfortable knowing their daughter comes home every night,” says Annie Markowitz, outdoor programs manager for Girl Scouts of Greater Los Angeles. At Camp Nugget at Cal State Long Beach, campers ages 5 to 12 have the unique opportunity to work with kinesiology students or teachers studying to receive an Adapted Physical Education Teaching Credential under the supervision of Barry Lavay, Ph.D. There’s also an After-School Adapted Physical Activity Program (ASAPP) in fall and spring. “We provide quality physical activity instruction that promotes a healthy lifestyle in a fun, motivating way,” says Lavay, camp director and adapted physical education program coordinator since 1988. Lavay meets with parents on the first day of camp to discuss the activities and encourage them to pack healthy snacks for their child. The more than 45 campers who attend, most of whom are ambulatory, are divided into small groups by age and developmental level and the child-staff ratio is four to one. During the four-week half-day program, activities start with a group warm-up and include fundamental motor skills, cooperative games, sports, relaxation and swimming. The routine is structured yet customized to accommodate each camper. 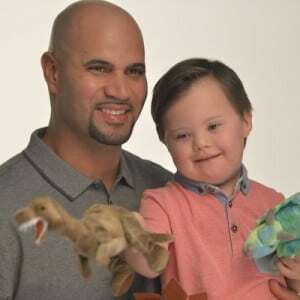 Camp Nugget’s mix of adapted physical activity and social interaction appealed to Josh Rencher, whose 9-year-old son, Aiden, has a rare genetic disorder called Cri-du-chat syndrome characterized by intellectual disability, delayed development and weak muscle tone. Aiden has been attending Camp Nugget since he was 6. 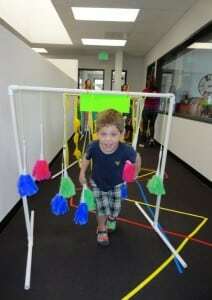 At the time, Aiden wasn’t yet walking independently. “It was important to us that we expose him to kids that were more active and ambulatory,” says Rencher. Aiden took his first independent steps the following year. “I believe his experience at Camp Nugget was a factor in accelerating his progress,” Rencher says. For families seeking more of a social-skills curriculum, Kids Like Me camps run by The Help Group encourage campers to interact with one another and learn social skills in a natural environment. “After participating in our program, parents have reported that their child has developed an ability to initiate interaction and really connect with peers,” says Kids Like Me Program Director Nicole Webb. 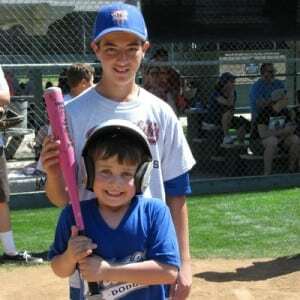 Kids Like Me camper Lathan Krupp is 10 years old, has autism and loves sports, video games and his friends – even when they squabble. “Even though I had a few arguments, I still love them a lot. [The counselors] always want to make sure all of us are safe and kind to each other,” he says. Lathan’s mom, Laura, is impressed with how the Kids Like Me staff handles Lathan’s unique needs. 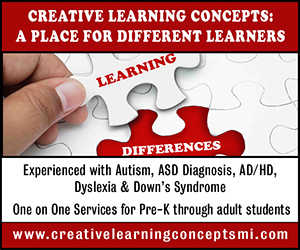 “I have even learned a lot about my own child by watching the staff work with him,” she says. Wilson heard about AbilityFirst Camp Paivika, one of the first fully accessible camps to open in the U.S. Operating since 1947, Camp Paivika offers overnight summer programs for campers ages 9 to adult with mild to severe developmental and physical disabilities. The camp, located in the San Bernardino National Forest, offers a range of outdoor activities and provides full personal care including assistance with dressing, bathing, feeding and nursing care. The camp usually serves 60 campers with the help of 50 staff members and volunteers. 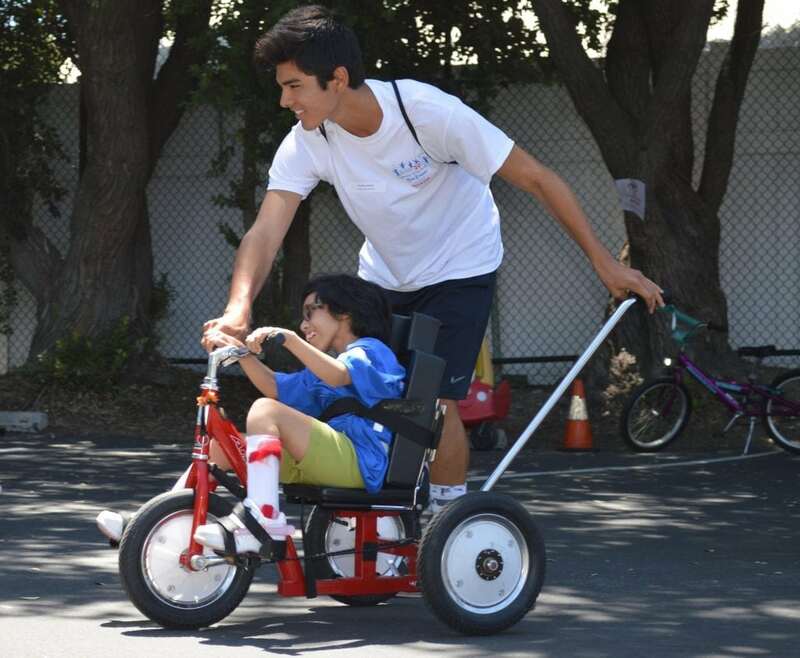 “The emphasis is on ensuring that all of our campers are not only safe and well cared for, but that they are able to participate fully in all of the activities that we offer regardless of their disability,” says Camp Director Kelly Kunsek. The pool, for instance, is heated to 85 degrees so that campers with spastic muscle challenges can enjoy the experience. 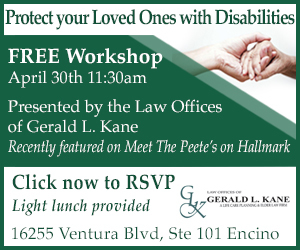 A walk-in ramp and two Hoyer lifts make the pool accessible to most. Mimi Slawoff is a Southern California writer and mom of three who frequently contributes to L.A. Parent.